BrandHK offers a remarkable selection of premium custom printed netball kit for the more discerning player. Our netball range is designed for sporting excellence with free movement, breathability and comfort at the heart of the design. Along with the standard A dresses, skorts and printed jerseys IRON have launched its ladies custom printed pro short designed to allow every player to achieve their highest possible performance. Great, vivid print really makes you stand out on court. Match your shorts to your jerseys and specify your own sock designs. Low minimum orders and a 4 week making time make this an unbeatable proposition. 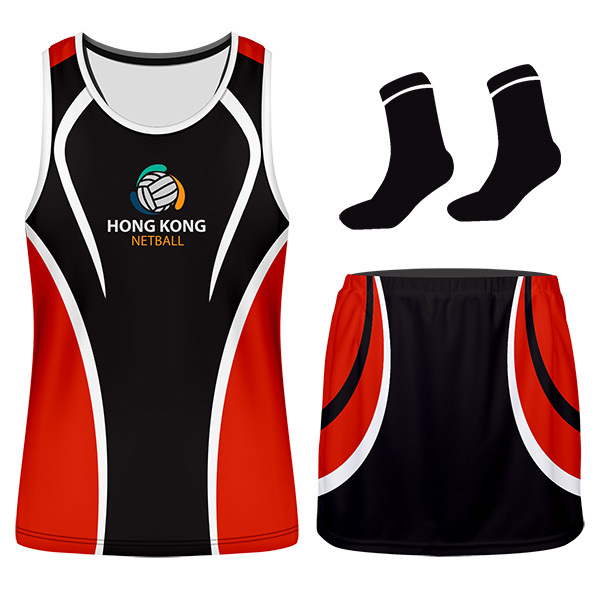 BrandHK offers a remarkable selection of premium custom printed netball kit for the more discerning player. Our netball range is designed for sporting excellence with free movement, breathability and comfort at the heart of the design. Along with the standard A dresses, skorts and printed jerseys IRON have launched its ladies custom printed pro short designed to allow every player to achieve their highest possible performance.